Country: Japan (as far as I know). Comments: Seams to be piano work for the tracks. 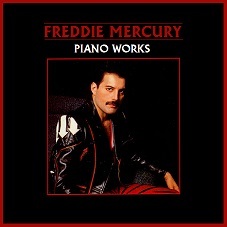 I don't have the recordings, so I don't know if this is the original released piano work (separated from multi track tapes) which has been used on the songs, or demo work etc. for the songs. I don't know if vocals are included. I don't think it's demo work. Probably some studio engineer who has collected this, and later trade or made it available in some ways. But, I'm not sure.